This design with smooth, rounded edges all around the 6-sided heads helps prevent the paint from chipping and prevents anything from poking you as you perform or set up for dumbbell exercises. Thicker than usual in the center of the handle and tapered to the edges, for a more ergonomic and comfortable grip. The steel ends of each handle are pressed into a fishtail, inserted into the heads, and then molten iron is poured into the vacant space around the tails. 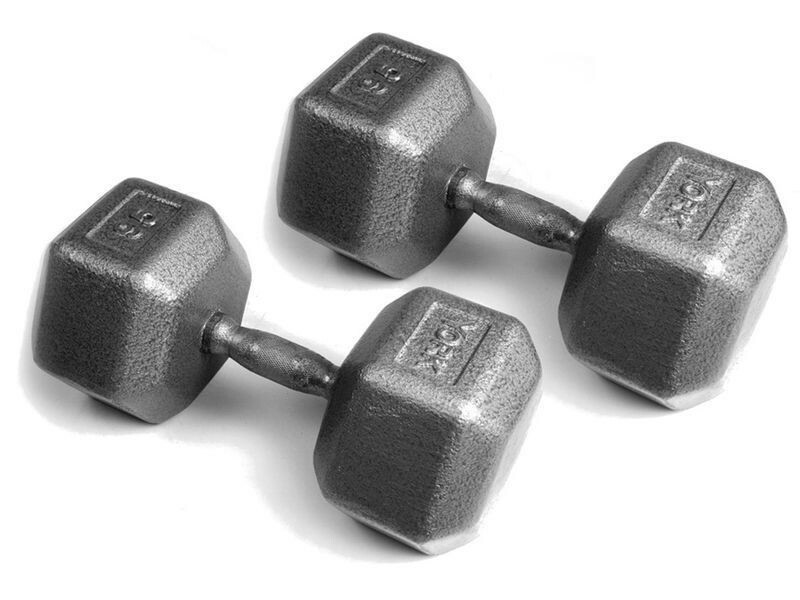 When it cools, this creates a very secure dumbbell that doesn't loosen from use over time like cheaper dumbbells.